Catherine J. "Trink" Crawford, 89, of Callensburg, PA, passed away Saturday, January 5, 2019, at Clarview Nursing and Rehabilitation Center. Trink was a longtime resident of Callensburg and loved caring for her home and family. 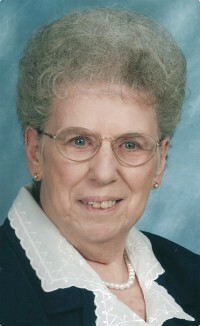 She was a member of Callensburg First Church of God and was happiest when spending time with friends and family. Contributions can be made in Trink's honor to Callensburg First Church of God, 216 Scott St., Callensburg, PA 16213, or the Eccles-Lesher Memorial Library, PO Box 359, Rimersburg, PA 16248.